Lederach, who has traveled worldwide as a mediation trainer and conflict resolution consultant, draws on his personal experience to explain the process and key variables used in teaching conflict resolution. Annotation copyright Book News, Inc. Portland, Or. 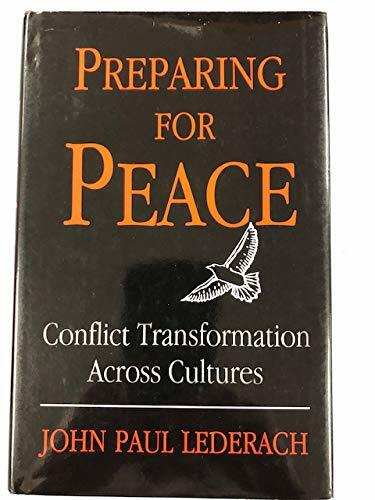 John Paul Lederach is associate professor of sociology at Eastern Mennonite University and director of the International Conciliation Service of the Mennonite Central Committee, and author of Conflict Transformation.